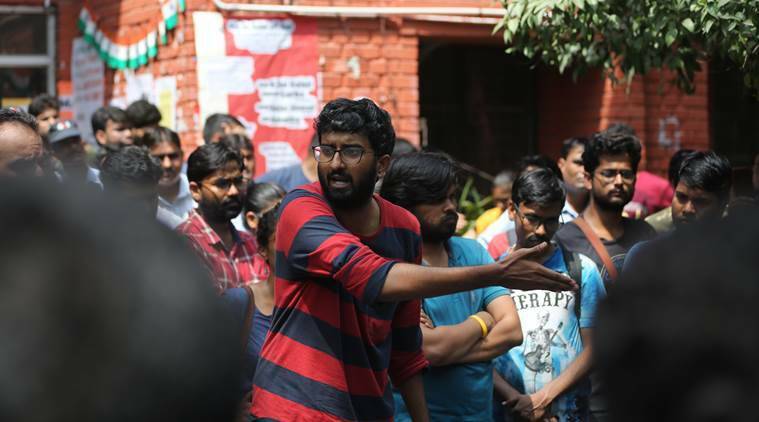 With Jawaharlal Nehru University’s Academic Council (AC) deciding to switch to the online mode for entrance examinations, and to get a private vendor to oversee the same, the students’ union alleged that the administration is involved in a “massive scam”. The university is set to go completely online for all entrances in December this year. However, Acting Registrar Heeraman Tiwari said these are “baseless allegations”, and that “a complete democratic process” was followed. “The computer-based test has been adopted by several universities such as DU, IITs, AIIMS etc… After due deliberations with the deans and chairpersons (special centres), the matter was placed for discussion in the AC… Since this is a matter related to student selection and evaluation, it could not have been discussed with students….,” he said in a statement.